Lowe's has been notably innovative with digital video for nearly two years now, going back to its Vine campaign called #FixIn6 that won Clio and Cannes Lions awards. Now the do-it-yourself brand is testing out Facebook's 360-degree clips, offering viewers step-by-step instructions on how to complete home-improvement projects. The initiative, called Made in a Minute, launches today on the brand's Facebook page and will run through August. The company is buying Facebook ads to push the effort, targeting people based on shown interest in home improvement or DIY projects. Lowe's worked with its agency, BBDO, and Facebook to put together the project, which will entail two videos that act like GIFs. "Through Facebook 360 technology, viewers can move their phone or interact with the video in-feed and go back and forth between each step [of the project]," said Brad Walters, director of social media and content for Lowe's. "Unlike most Facebook 360 videos, which are shot with a 360 camera, Made in a Minute consists of eight individual frames stitched together to show one person completing each step of the project. Each step plays like a looping GIF, allowing the viewer to see the individual step as many times as they'd like." 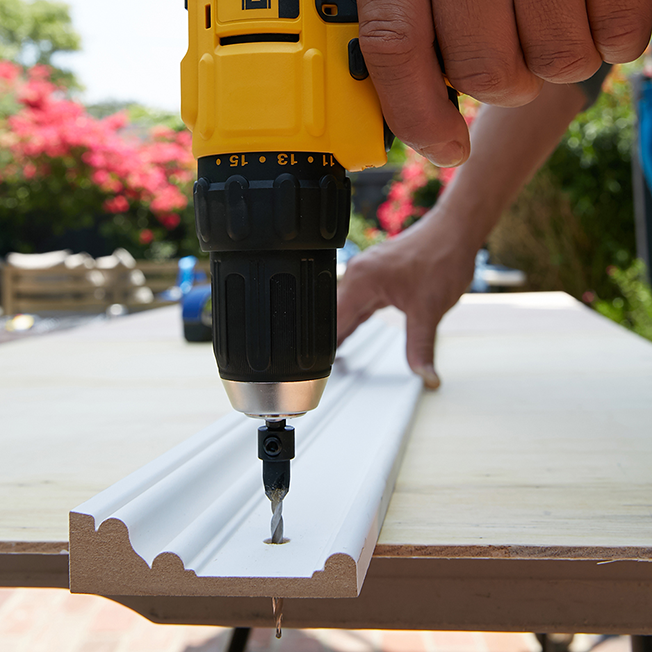 Viewers can click through to Lowes.com/DIY, a Tumblr landing page, where the products are listed and can be bought on the brand's ecommerce site. "We hope viewers will feel inspired and confident to try their hand at the project," Walters said.